WEA Chinook is a regional office of the Washington Education Association (WEA) staffed by education professionals and governed by members to ensure greater opportunities for decision making, training, coalition building and other important activities. Find us on Facebook here to see more about council happenings! to learn more about how WEA came to be, click here. Peer support when colleagues need assistance. Support for local association presidents as they strive to work with and for their members. Grants for members to attend WEA's Representative Assembly, WEA Leadership Academy, and community outreach. Training sessions as identified by member needs and requests. This website is designed to provide information and support to WEA Chinook members. 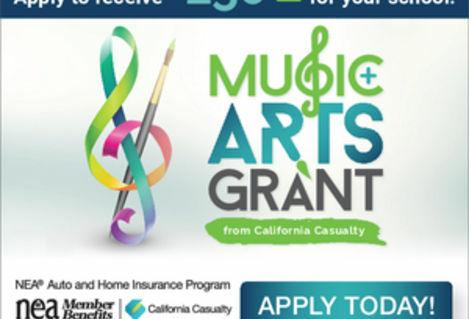 Enrich your students’ learning with a Music & Arts Grant. Apply to receive $250.00 for your school’s program. WEA-Retired is offering up to ten $1000 non-renewable scholarships to aid WEA members in enhancing skills in specific education areas and/or attaining or maintaining a teaching certificate. The scholarships cannot be used to pay for incurred debt for past classes or reimbursement for pre-paid classes. 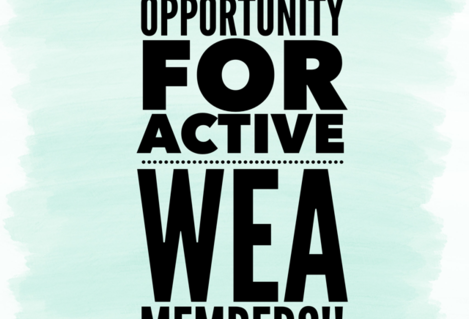 You must be a WEA member to apply. Applications (cover sheet and letter of application) can be found online at www.washingtonea.org/retired. You may also request an application (certificated, classified, or student WEA) by contacting the scholarship chair, Bev Wentz, at barwentz@comcast.net. The completed cover sheet and application narrative must be received by April 10 at WEA-Retired Scholarship Committee, 51 Se Bayview Lane, Shelton, WA 98584. Scholarship recipients will be notified by May 4. CLICK ON READ MORE TO BE DIRECTED TO THE THE WEA-RETIRED WEBSITE.